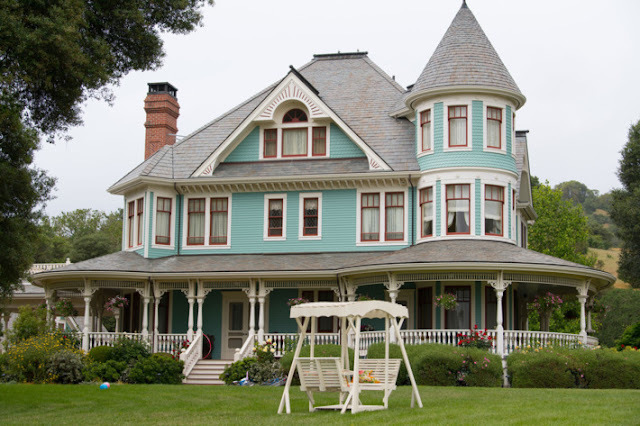 Have you seen Philomena yet? It's such a lovely mush; warm and cozy, a bit weepy but wickedly funny with a really rather exciting quality of adventure about it. 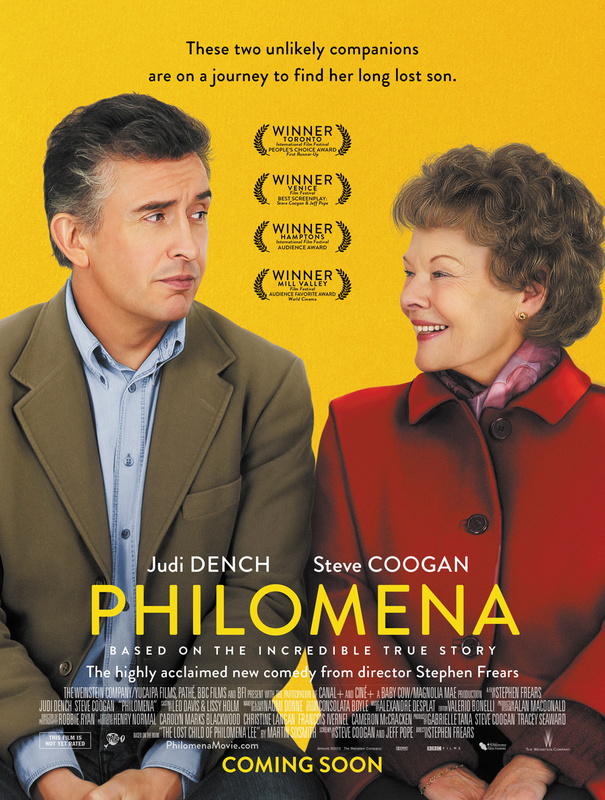 Judi Dench, sporting poorly permed mousy brown hair and looking every inch of Philomena's seventy years rather than the over airbrushed version of her shown in the poster above, gives an immensely touching and open-hearted performance. As the woman on a 50 year search for the son she was forced to give up, Dench manages to capture a mother's fierce and unwavering determination, all the while oozing a sweet simplicity and enthusiastic spirit that's simply irresistible. Philomena as a teenager was played by Sophie Kennedy Smith, who did a beautiful job of laying the emotional groundwork for what comes later. Steve Coogan plays Martin Sixsmith the journalist who somewhat begrudgingly helps Philomena in her hunt. Coogan continues to surprise me; I really liked him as the deadbeat dad in What Maisie Knew and he's got a nice understated manner here that builds perfectly as the stakes escalate. 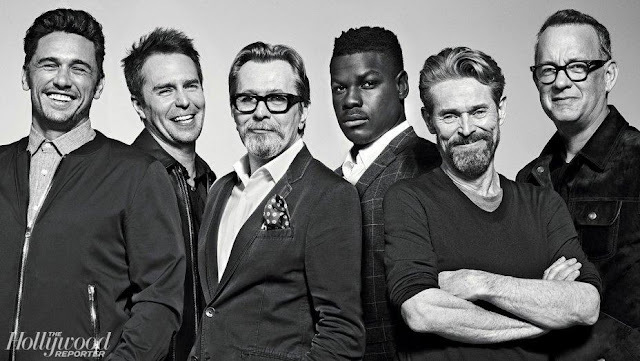 The film has earned a plethora of noms and nods from various critics associations mostly for the excellent script co-written by Coogan and Jeff Pope, and Dench's performance. The script, Judi Dench and the film itself have all earned Golden Globe nominations; a trench which will continue when the BAFTA nominations are announced January 8th - they're being live-streamed at 7:35am (do the math for your timezone). The Stepen Frears-directed movie covers quite a bit of ground - Irish nuns forcing young unwed mothers to give up their babies, the AIDS crisis, politics - territory that might feel a bit stretched if it weren't based on a true story! 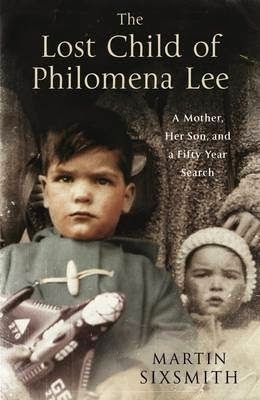 All of which was recounted in a book by the real life journalist Martin Sixsmith entitled The Lost Child of Philomena Lee. None of which yours truly knew before seeing the film. I'm glad really, that I was so littled prepared. I was positive I had this film figured out in the first ten minutes; it was such a delight to be wrong. A 'feel good' movie is about as cliche as it gets but that's what Philomena is; watch the trailer and see if it doesn't make you feel good too. The only way to feel even better is watching an entire film of Dench speaking in a warm Irish brogue and hearing 'shite' coming out of the legend's mouth.